Is ISIS leader Abu Bakr al-Baghdadi, one of the most wanted militants in the world, dead or alive? The world's most wanted militant may still be alive. A military media unit run by the Iran-backed Hezbollah said this week that Abu Bakr al-Baghdadi was spotted in the Syrian town of Abu Kamal, a town the group liberated this week. Syria's army declared victory over Islamic State on Thursday, saying its capture of the jihadists' last town in the country marked the collapse of their three-year rule in the region. On Friday, the Syrian Observatory for Human Rights said Islamic State has taken back control of half of Albu Kamal. The sighting of the leader of ISIS happened during Hezbollah operations with Syrian forces, backed by the Russian Air Force. The American-led coalition said that it does not have "any releasable information concerning the whereabouts" of Islamic State leader Abu Bakr al-Baghdadi. 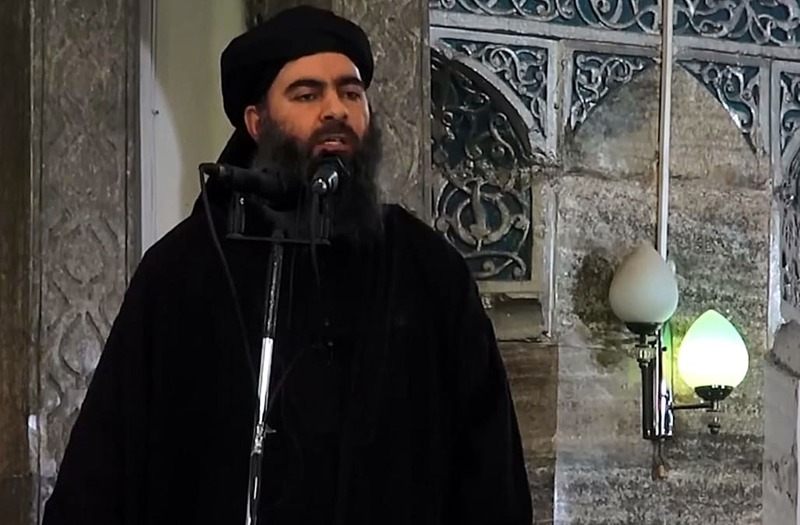 Now, speculation of Baghdadi’s whereabouts and whether or not he’s even alive has been around for months. Russia claimed they killed the ISIS leader back in May during an airstrike in Raqqa. The U.S. is offering a $25 million reward for information leading to his death or capture.